Who knew that you could go ice skating in the tropical country of Indonesia? Well, I for one did not—but since they have a rink, why not check it out? One of the family values of IES is that we are serious about our faith, our fun, and our food. In order to mix in a little more fun to our faith and food, every month my young adult life group goes on some sort of random adventure. 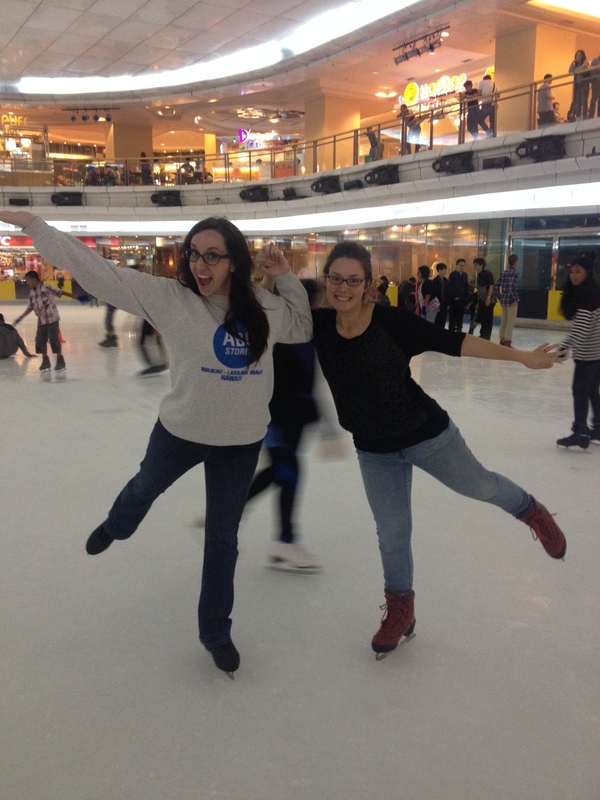 This month we decided to go ice skating! 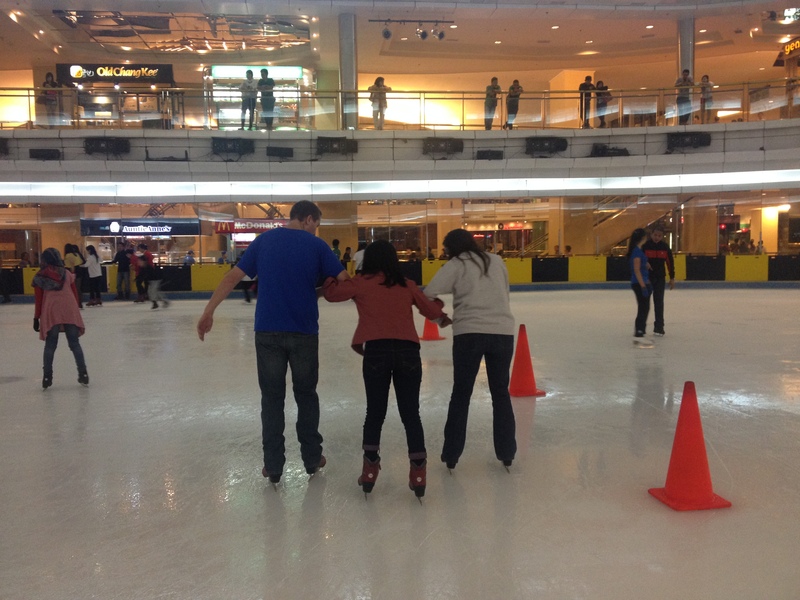 Someone found out that there was an ice skating rink located in the middle of one of the big malls here in Jakarta…and somehow that translated into all of us piling into a couple cars and heading to the mall! Loving food as much as we do, we met for a quick dinner beforehand, so we would be fully fueled for our skating. There were 13 of us from our life group that were able to come. Of those 13, only about half of us had ever skated before. It was so fun to get to help some of them learn to skate—or watch as others taught them. In the middle of regular skating, and teaching our skating newcomers, we of course mixed in a little bit of shenanigans (such as racing and synchronized falling competition). After our two hours were up and the rink closed, we headed downstairs to find dessert. Since we were celebrating one of our member’s birthday, we had initially intended to find a cupcake place—because who doesn’t love a cupcake on their birthday? 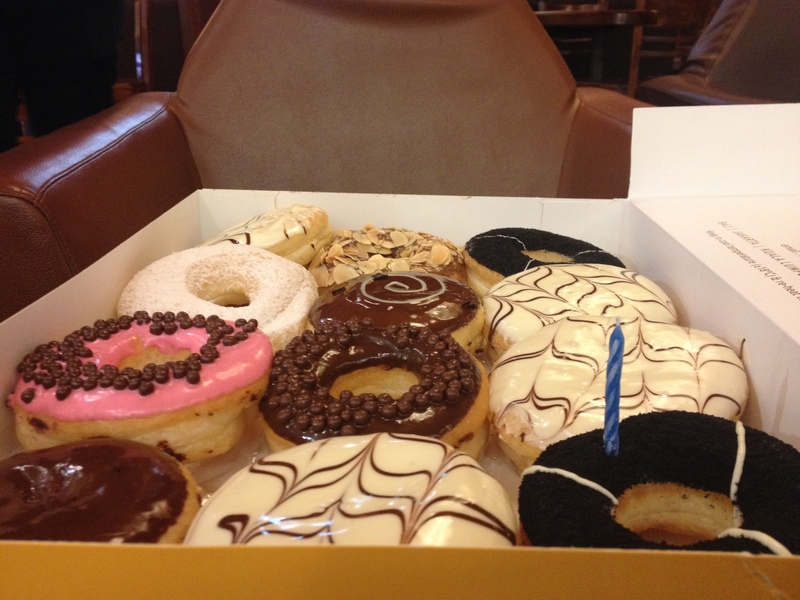 However, we couldn’t find one, and since we only had 30 minutes before the mall closed and they kicked us out, we settled on J.Co Donuts (the Indonesian Duncan Donuts equivalent). My co-leaders Hans and Laura were prepared with candles and a lighter, so we made a birthday cake out of a dozen donuts and sang happy birthday! I think it is one of the most fun adventures our life group has been on…I’m not really sure how we’ll top it next month. 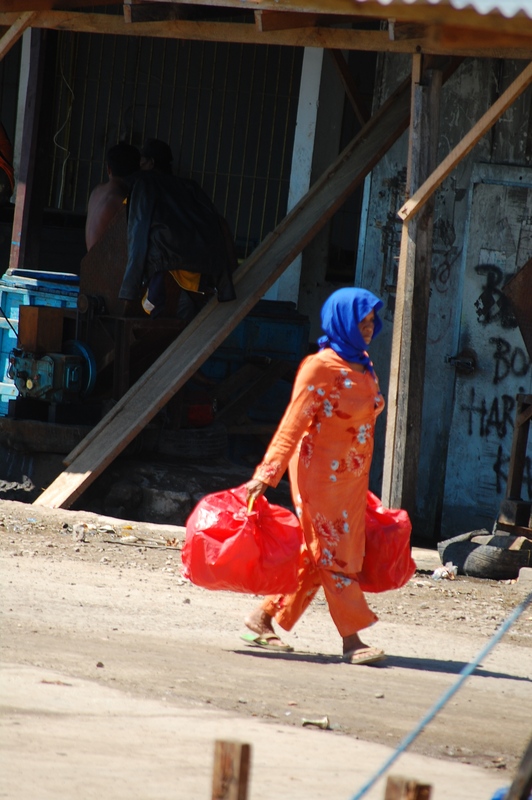 The more I explore Indonesia the more I realize that I love it here. Not just the island of Java (which up until last week had been my only exposure to Indonesia), but as I just discovered, I love eastern Indonesia as well! Last week I was able to spend a few days with my dad at a seminar he was conducting in Kupang—a city in West Timor (an island in the southeastern part of Indonesia). This was my first adventure off of Java. In true Indonesian fashion, we were welcomed with open arms. When we got to the church Wednesday night I felt like I had been transported to an Indonesian version of ICC, my home church in Madrid, Spain. The worship was phenomenal—and there were even girls dancing with tamborenes like I used to do at ICC! After service, some of the pastors took us to a traditional Kupang restaurant where we had delicious barbecue fish and a lemon-coconut water drink. Thursday was jam packed, as Dad did a session in the morning and at night—so we spent most of the day at the church or our hotel. 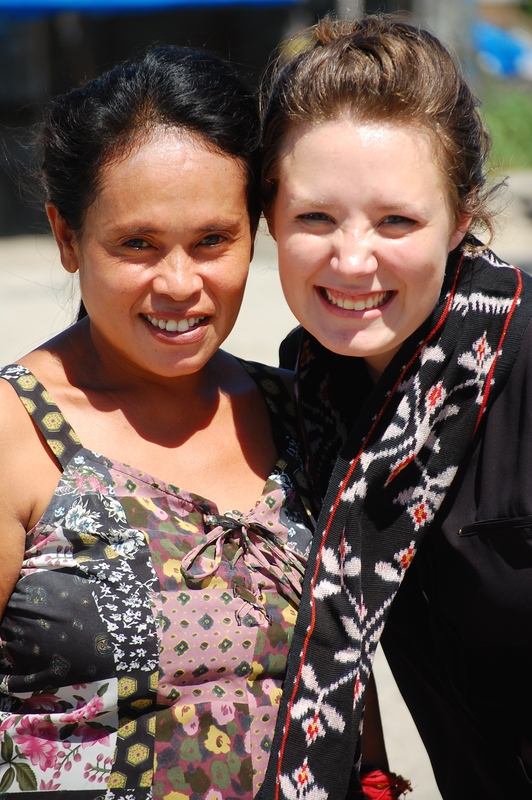 Friday morning, though, we had off, as dad didn’t have to teach until the evening—so two of the pastors decided to take us around Kupang. It was so much fun! They took us through the roads less traveled and we saw some spectacular views. One of the places we stopped to see was the main fish port. Apparently the main people group there are the Bugis—the same people group that I work with in North Jakarta—what a small world! At the traditional fish market the pastor stopped the car and told us to wait a minute. He got out of the car and came right back with this adorable woman. She walked up to me and offered me this beautiful piece of fabric. I was so touched by her and her pastor’s generosity. 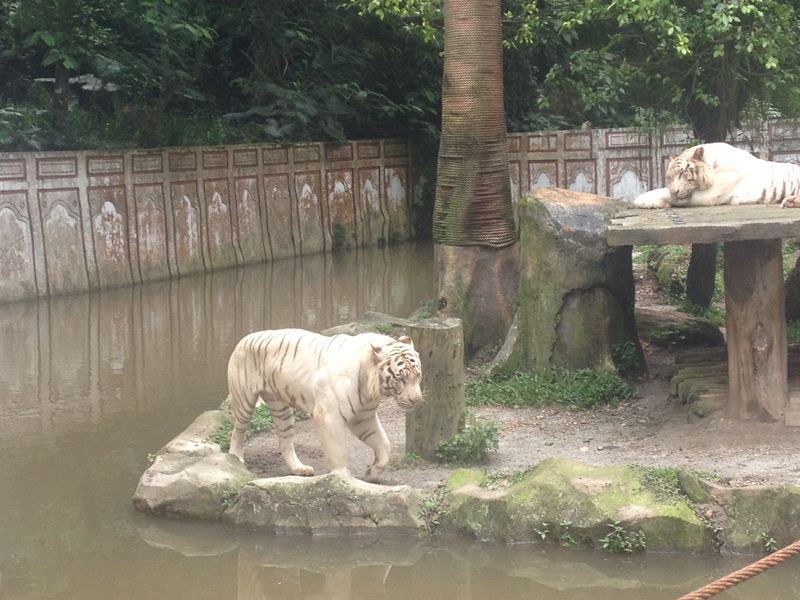 Indonesia is a special place…and I am honored to be able to live here. Indonesia is the country of coffee. Ever since I decided to move to Indonesia I have wanted to taste the Indonesian traditional “kopi luwak.” Kopi luwak is a special kind of coffee that comes from a special fermentation process in the intestines of a luwak (monkey-like animal). Apparently, the luwak eats the coffee bean, but since it cannot properly digest it, it comes out in its excrement as one of the world’s most expensive and rare coffee beans. Being a coffee connoisseur, I had to try it! When I first got to Jakarta I couldn’t find anyone to try the world-famous “poop coffee” with me, so I waited and waited. When my dad was asked to come to Jakarta to speak at a conference, I knew it would be the perfect opportunity to try the world famous coffee–as he is the only person I know who loves unique coffee as much as I do. 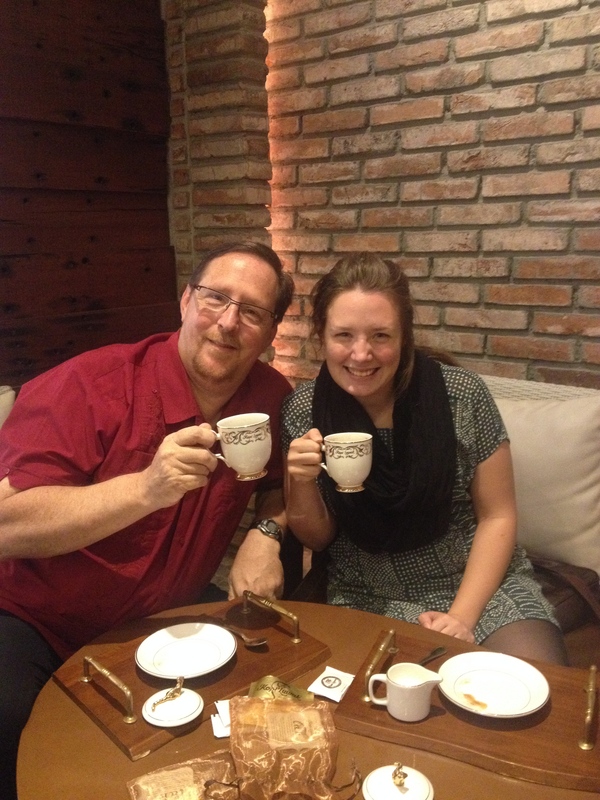 Dad and I arrived at the Kopi Lukwak shop, sat down, and ordered the traditional coffee. About five minutes later the waitress came and brought us two empty tea cups, a carafe of water, and a pouch of coffee. She proceeded to pour the packet and the water into the cup and told us to wait two minutes. At the end of the two minutes we tried it and it was phenomenal! 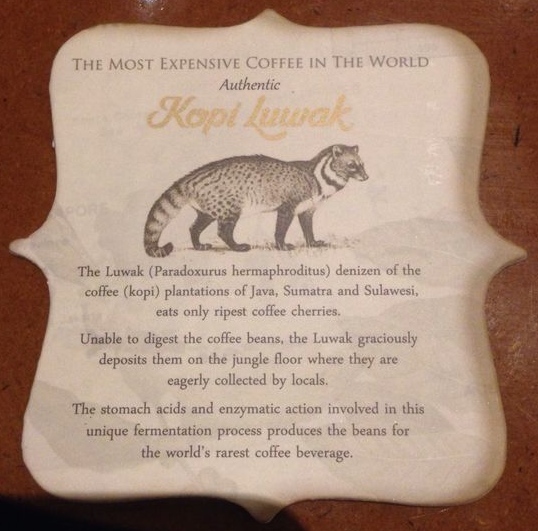 I can now proudly say, I’ve had traditional luwak poop coffee!!! 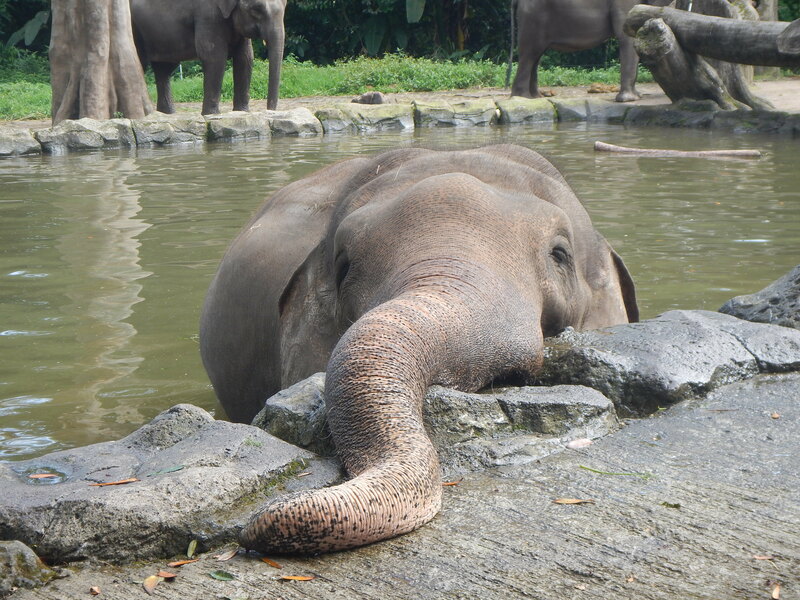 Today was a national holiday in Indonesia—so everyone was off work—which means road trip time! 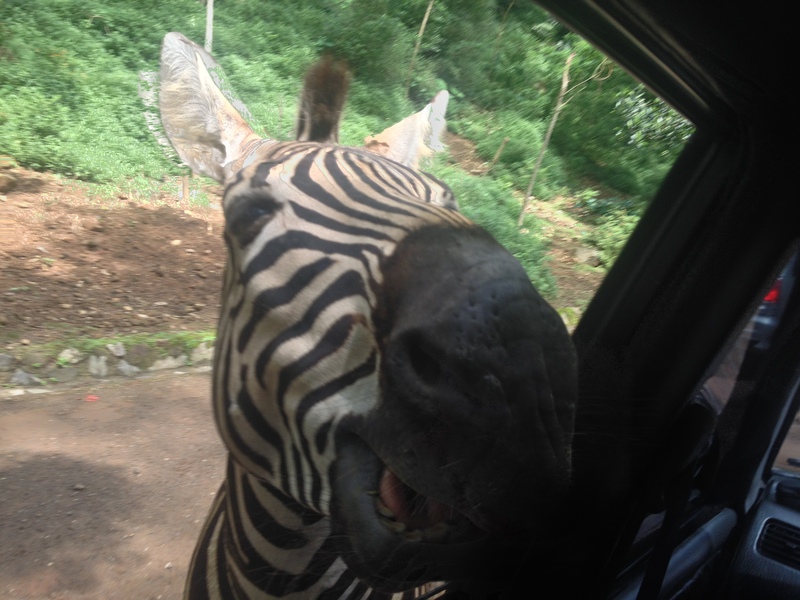 My two friends and I packed a picnic lunch (of chicken and rice), got in the car, and headed to Taman Safari—a safari style zoo park about 3 hours from Jakarta. 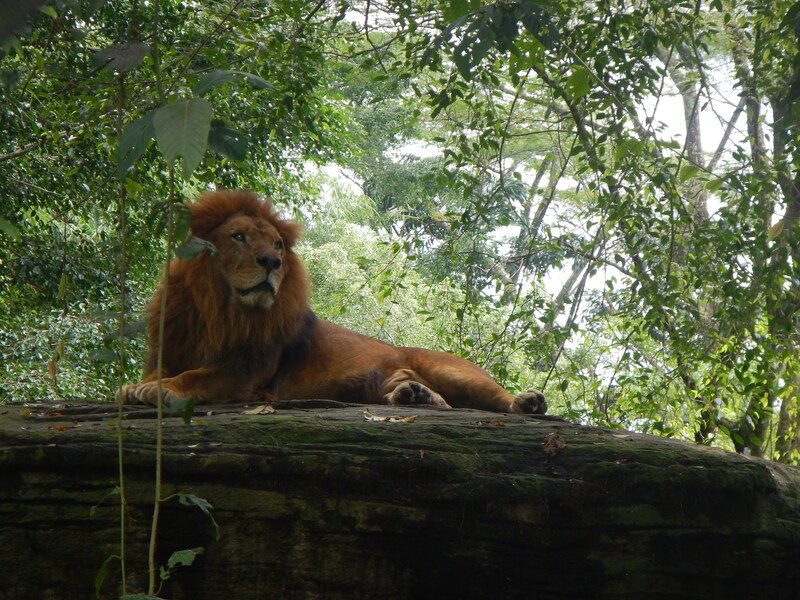 And of course what zoo trip is complete without some lions, and tigers, and bears…oh my!! 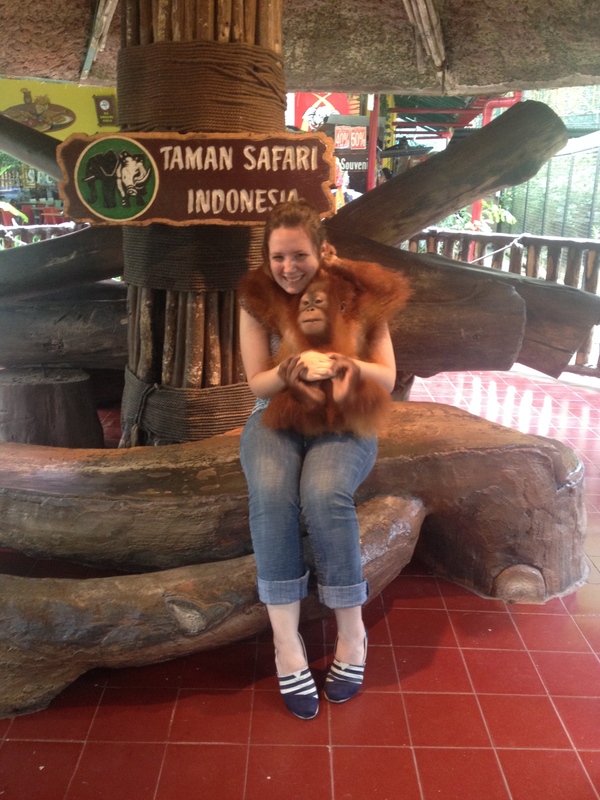 At the end of the trip I got to take my picture with a baby orangutan…I literally could hardly handle the cuteness. It was so fun to get to go on a short animal kingdom adventure! The last two weeks have been some of the hardest and most rewarding of my time in Asia so far. I just spent the last two weeks in the Philippines participating in the Summer of Service (SOS) church planting program run by the Philippines Assemblies of God. This year there were a total of 14 international volunteers—9 from IES Jakarta and 5 from Australia. 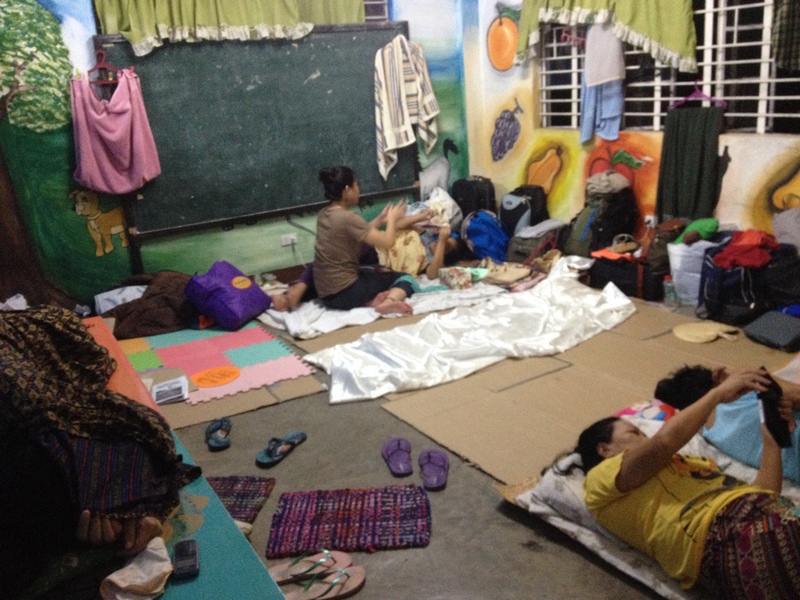 We met in Manila for training and then we were split up and were sent to five target areas to join the 80 Filipino volunteers already there. My group was sent to Looc Cardona in Rizal. When I first found out that I would get to go on the trip, I was hoping and praying that I would be sent to a rural mountainous area—and I was! 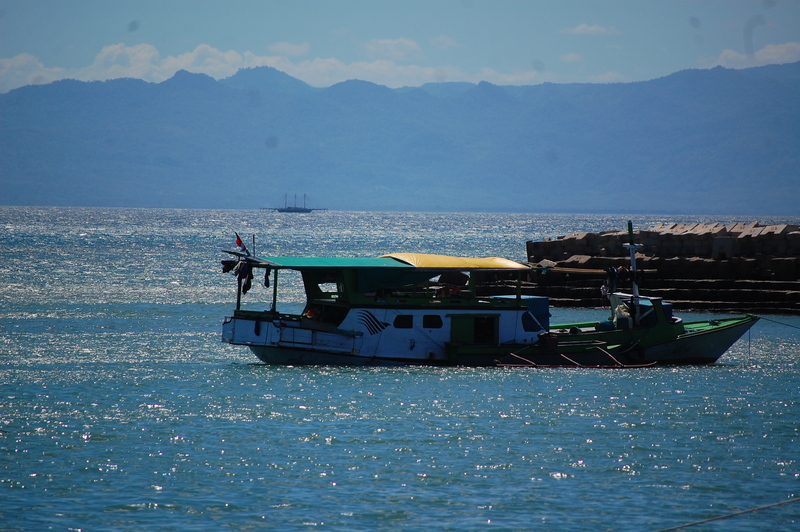 Looc Cardona in Rizal is a Catholic fishing village about two hours south of Manila. All 21 of us on the team stayed in a small one-room daycare. It was tight quarters, but we made it work. The daycare was right next to a basketball court where most of the community would hang out and play starting at 4am up until about 11pm. One of the player’s daughter became my little buddy. 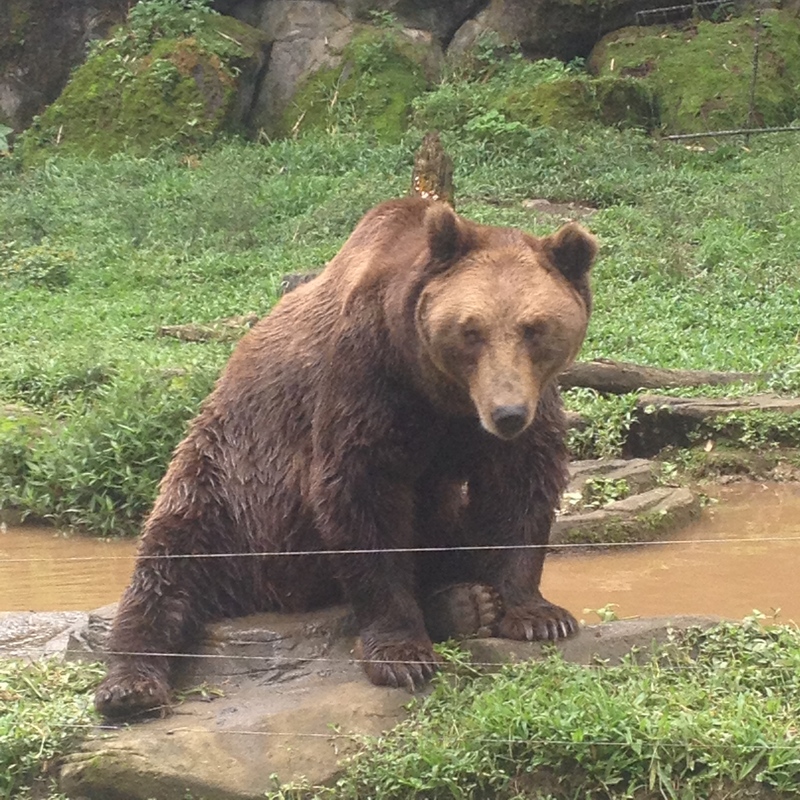 No matter where I went or sat, she was right next to me. The first day she even went house to house with us, until her dad told her she needed to stay near the basketball court. The people in Cardona did not really speak English, so my main job was to accompany my Filipino squad partners and intercede for them while they were sharing. Initially it did not seem as glamorous as getting to straight up share the Gospel, but I think God was teaching me that it’s not about what one person does—it’s about how the team works together in accomplishing his goal. We are the body of Christ and no one thing is more important than the other. Everyone needs to do their part and together the goal is accomplished. After a couple days we finally found some people who spoke good enough English that I was able to lead them in a Bible study, which was so much fun. In addition to the great ministry opportunities, our Cardona team had a lot of fun together. Most of our team was very musically gifted, so pretty much anytime there was free time, one or all of them were sining and playing worship music. 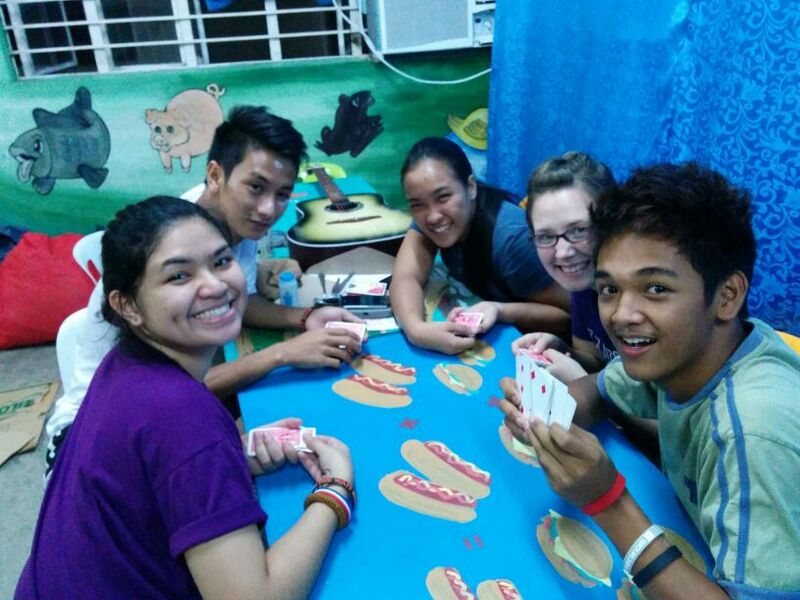 During our free time we would also play snakes and ladders, spoons, and some Filipino card games. It never ceases to amaze me that no matter how different we are on the outside, how different our life experiences are—you can always find common ground. I was honored to be a part of the Cardona SOS 2014 team. Please pray for them as they still have four more days until the Grand Opening Service of the new church.